So this evening, I ventured to ClumberKim’s to help her using my rotary cutter for a crafty project she’s working on. My part of the project was successful – well, besides the part where I somehow got so warm that I nearly fainted in her kitchen (with the AC on, no less!) – and I know the rest of the project will awesome! Before I left, she gave me one of the coolest things I’ve ever seen. 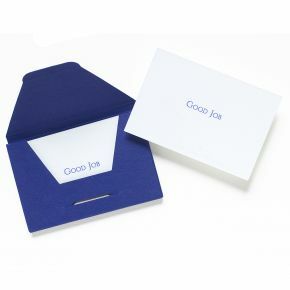 I chose the “Good Job” ones, pictured above, as ClumberKim gave me all four to choose from. Seriously, what a ridiculously amazing idea! I think these are perfect for a SecretAgentL mission… you know, once I get a jobby job.